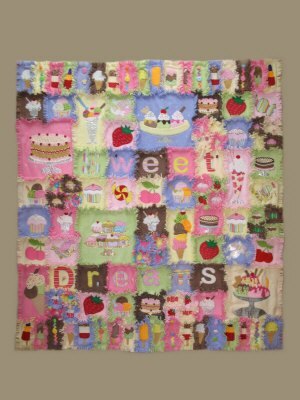 Gail Penberthy never fails to amaze us with her fabulous fleece designed quilts and the more you make the more you want to make! This new design incorporates cakes, ice cream sundaes, sweets and your favourite lollies including the most realistic fab lolly that I have ever seen. Size approx 50 50 inches. All calorie free of course so indulge yourself!